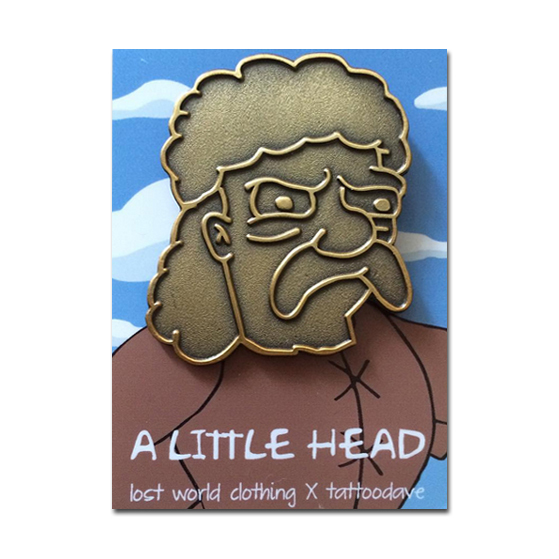 Lost World Clothing have teamed up with Dave Walker (aka Tattoo Dave) on this fantastic lapel pin inspired by the severed head of the Jebediah Springfield bronze statue. The 1.5" die-struck pin is limited to 200 signed and numbered pieces, with 100 available via Lost World Clothing and an additional 100 direct from Tattoo Dave. Pick one up via either store for just £5.00, but be quick, stock is already running low!